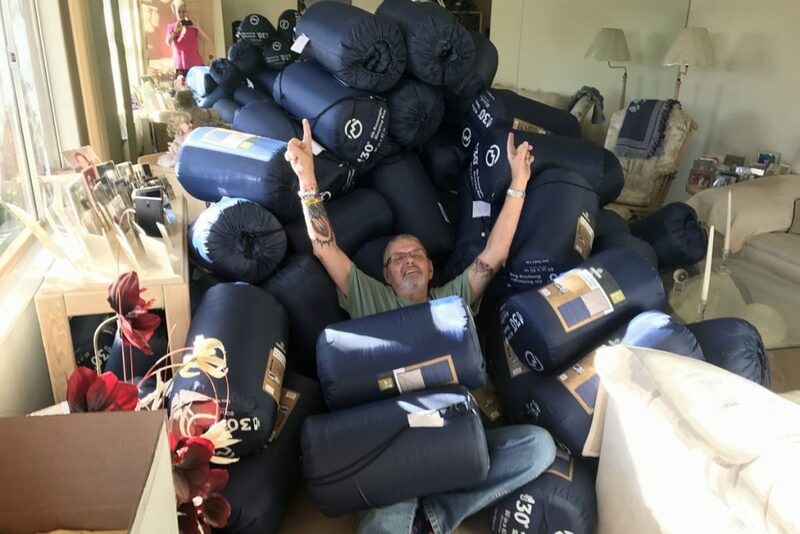 Sleeping Bags for the Homeless at Christmas! We are collecting sleeping bags for the homeless to give out at our Christmas morning outreach. If you wish to donate, they can be purchased at Academy.com for $14.95 each. They are the ones that are rectangular and go down to 30 degrees. We thank you ahead of time for helping with this project. Last year we collected 365 sleeping bags!! They can be mailed directly to Broken Chains at 3368 Medina Ct., Las Vegas, NV 89121. 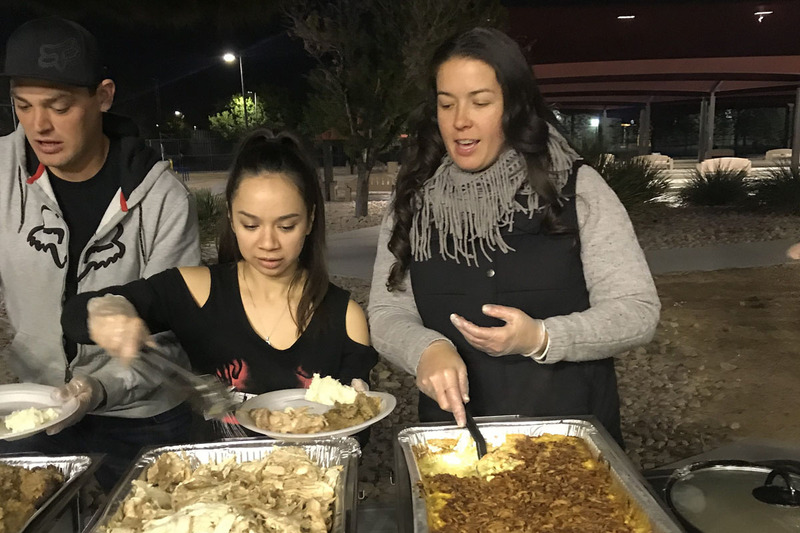 We had a wonderful Thanksgiving Outreach for the homeless at the park on 11/21, Thanksgiving Eve. 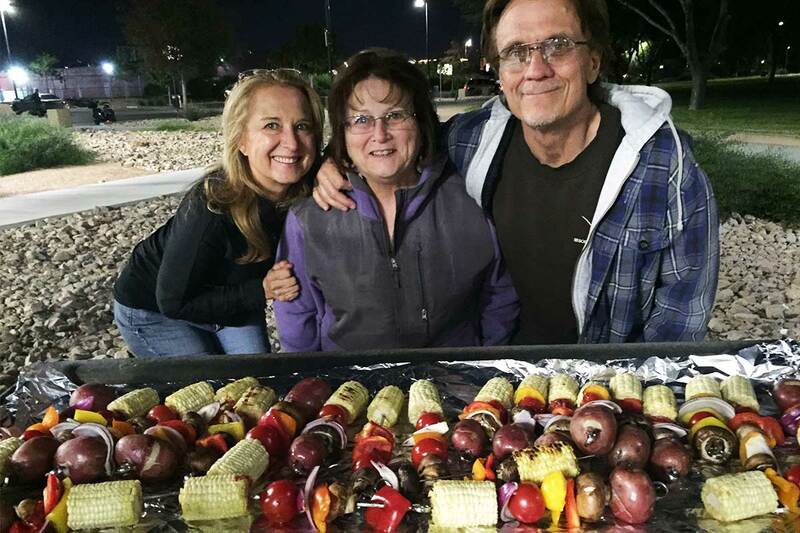 It was catered by Kellie Diene and her sister Shannon O’Boyle, aided by employees from Impact Companies. They served a complete turkey dinner with all the trimmings. And they brought their own volunteers, so our Broken Chains volunteers got a day off. Boy, what a super meal!!! And Kellie and Shannon are also doing our Christmas Outreach. Can’t wait!! Thank you to Kellie, Shannon and all their volunteers! We are extremely appreciative of all the care and planning put into this event! Pastor Cody says that their Mac & Cheese is the best he has ever tasted! Broken Chains has several ladies at church that knit hats and scarves for the homeless. If you have any yarn that you can donate, please bring it to church. We go to the early service and our bus is always in the parking lot; the back door is always unlocked for donations or it can be left in the church lobby. 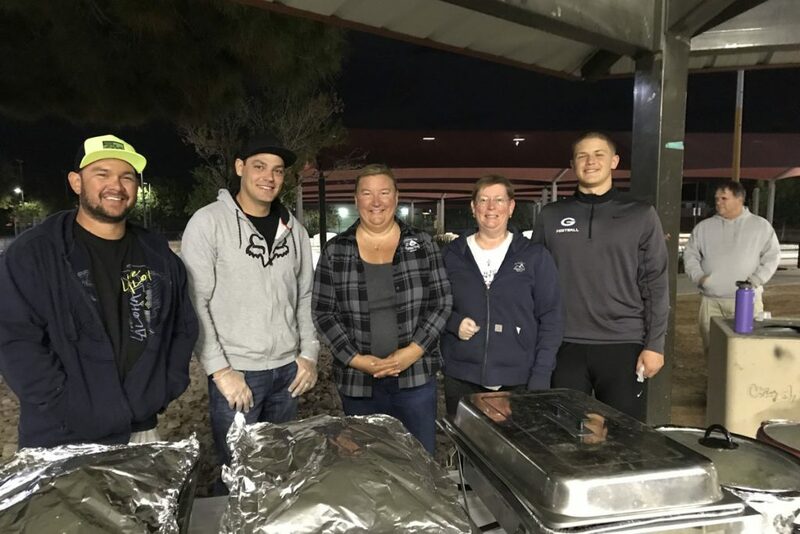 We want to thank Impact CTC for cooking for our outreach on November 14th. They have adopted Broken Chains as their project for 2018 and are doing such wonderful things to help the ministry. They have already had 2 fundraisers for Broken Chains. Thank you all!!! Two Lunch Tuesday this month collected 3343 lunches bringing our current school year total to 14,286! And all of these lunches go to the homeless, veterans and the less fortunate in our city. Prayer: Please pray for our good friend Eddie as he continues to battle illness. Praise:: Thanks to Impact Companies for all they do for Broken Chains!